The Perth tq Car Club hosted the Australian Formula 500 championship on the 10th and 11th of April 1982 at there Bibra Lake venue. An unknown on the national scene Victorian racer by the name of Max Dumnesney went on to take out the event from another west Australian in Des Ferris, followed by Peter Sumpton and in forth Johnny Anderson. The West Australian run title was hailed a complete success by all concerned. The very next weekend the same group of racers competed in the Australian Short track championship, which was held at the West Arthur Motor Sports Accociation home track at Darkan. 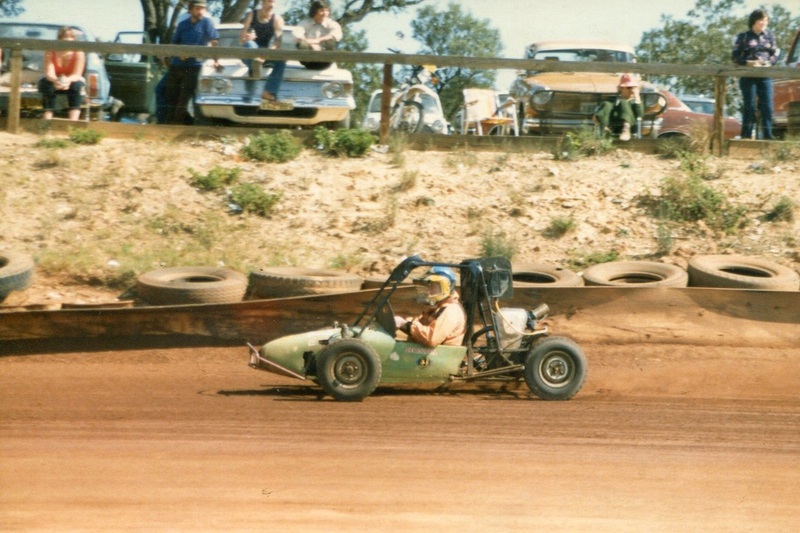 Darkan Speedway was chosen because of it layout including Ess bends in an uphill straight. 1982 - Australian Formula 500 lineup at Bibra Lake Speedway. Photo: Tony Coles. 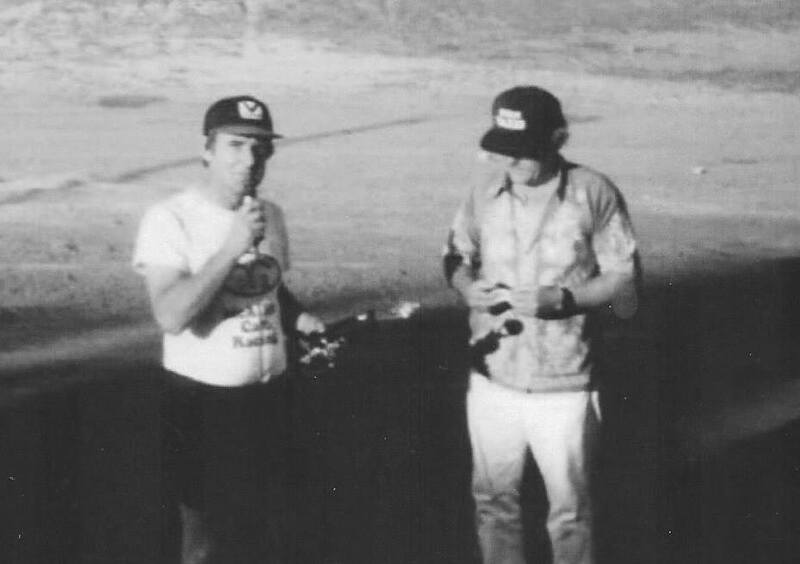 1982 - Claremont top star driver Bill Cato receives his trophy at the Speedcar Gala day from Jerry Wilcox. 1982 - Bibra Lake Speedway Sprintcar action. Photo's: Allan Baker. 1984 - Harry Flynn was a regular at the Bibra Lake circuit. Photo: Harry Flynn. 1984 - Harry leads the big field at Bibra Lake before going on to win the race. Photo: Harry Flynn. 1995 - Ron Krikke after winning the Australian title at Claremont Speedway in the Throstle car owned by brother Peter Krikke, moved to a team owned by Geoff Kendrick, running a local Murphy chassis and sponsored by Bill Nitskie from Action Performance. Photo: FR Media.